This is the fruit of our not-so-recent Taipei Trip: Rocket Company asked us to design singlespeed cranksets for their in-house brand. Named Booster, they come in two designs, the one with traditional square-tapered bottom bracket and the other with outboard bearing bottom bracket. All crank arms were cold forged from 7075 aluminium to ensure proper strength. while the chainrings are CNC-milled also from the same material. 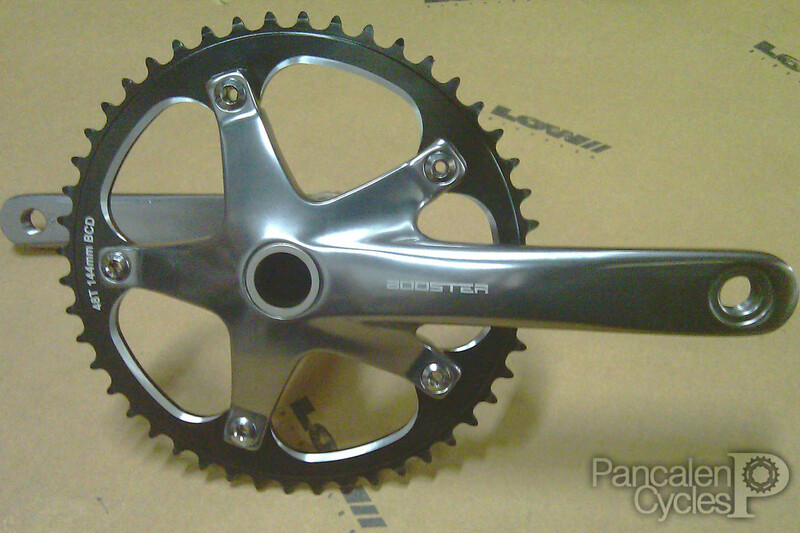 The square-tapered version comes with 130mm BCD 48T chainring, while the other model equipped with 144mm BCD 48T chainring. 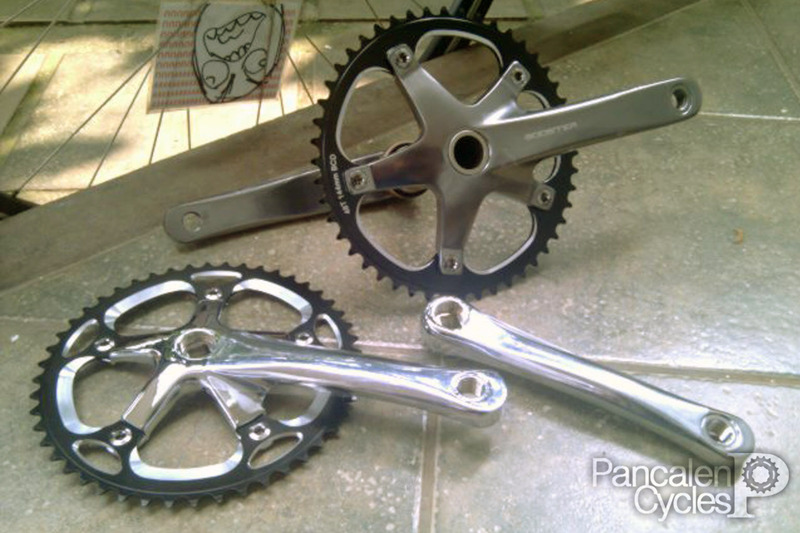 Both models are available in 165mm crank arm length to suit general market needs. 103mm bottom bracket spindle required to ensure sweet, sweet chainline. 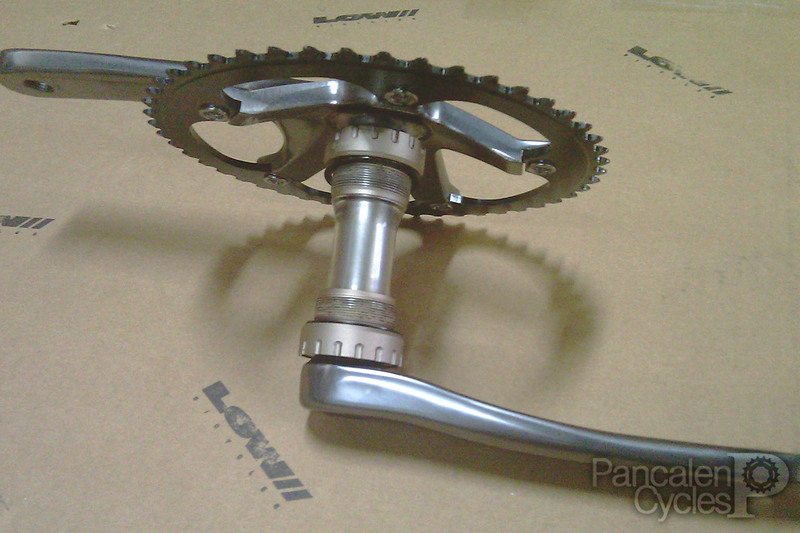 Equipped with an outboard bottom bracket assembly that runs on stainless steel bearings, the second model uses chromoly spindles that shared the same diameter as what commonly found on SRAM cranksets. This make them compatible with the already available ceramic bottom bracket assembly made by SRAM. For the production version, the square-tapered version will be available on full gloss black finish, while the outboard bearing version will be available in gunmetal grey as shown. The outboard bearing version is currently installed at Ochie's 53cm PIAS prototype, and so far they held up together nicely. No, this is not Ochie's, this is the outboard bearing version installed on our resident test mule, The #SubduralHematoma. 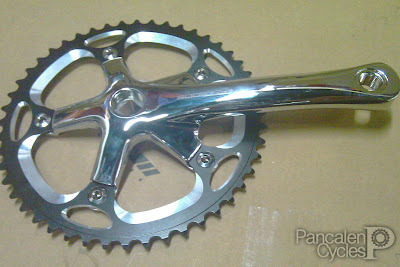 Considering the technology, the cranksets will be available in affordable price so it will be perfect bang for the buck. Expect them to hit the shelf at Rocket Company around this October. Nope, they won't be sold separately. 130mm BCD gives you wider gearing option since you could run smaller chainring. 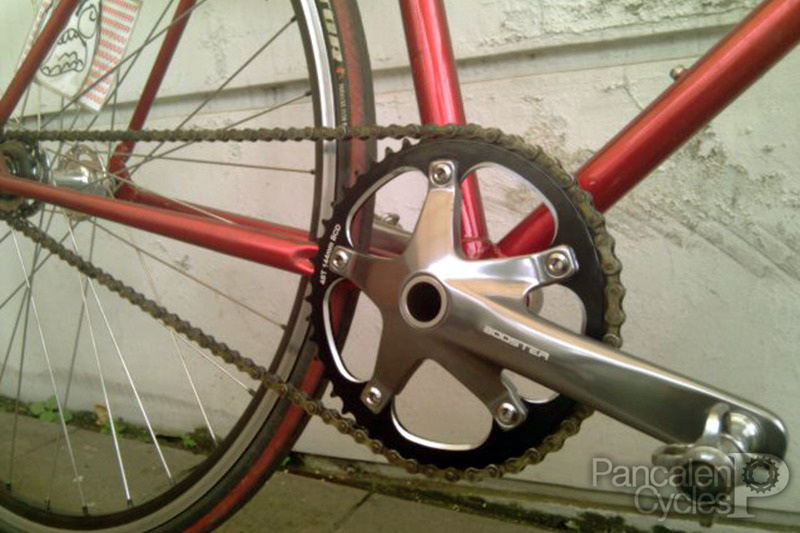 You wouldn't want to run 50T chainring on your singlespeed cyclocross bike, for example.